With so many websites in every niche on the web today, it is safe to say that you will always have some competition to face. 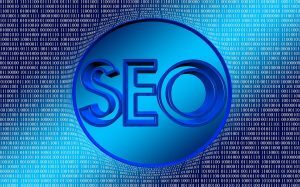 Even very specific search engine queries may have hundreds of thousands of results returned for them, meaning that your brand or business is in a constant fight with others to be seen and heard on the first page. SEO rankings can drive people crazy, especially considering that the formulas that govern them are constantly in flux. Small businesses in particular can have a difficult time with this, as there are usually bigger fish in the ocean who are capable of spending more money and time on improving their standings. We’ll talk today about how those small businesses can do more with less and keep up with their competition in SEO. It is impossible to win a SEO battle with major businesses or entities as a newcomer. There is simply too much precedent in the form of content, backlinks and other metrics for a small business to overcome the advantages that bigger brands have. Because of this, you’ll want to be pinging search engines with precise keywords that are targeted toward equally precise niches. If your targeted SERPs contain millions upon millions of listed results, then you are likely aiming too high. While precise niches may have fewer visitors and clicks, you are more likely to earn a greater share of them – and overall, more clicks in raw numbers – due to the relative ease of getting ranked in them. Small businesses will find it difficult to break into search engine results that are regularly used the world over, but local SEO can be a workaround for many. With a fraction of the traffic and a fraction of the competition when compared to larger, more generic SERPs, local SEO opportunities are much more obtainable for small businesses that may have just started building a web presence. Likewise, long-standing small businesses may find it easier to become ranked well in these SERPs due to their organic efforts at reaching out to local communities and properly advertising their hours, location and more. Small businesses may not be instantly recognizable to the masses, but they can perform well in one important area: reviews. With many different reviews sites on the web, having a solid presence on at least a few can help bolster the opinion that search engines have of your website and will simultaneously reassure potential customers when they do find your brand. It’s important to be pinging search engines with all sorts of signals: keywords, social media and reviews can all be effective methods of boosting search engine optimization effectiveness when combined. Small businesses face a plethora of challenges. When it comes to SEO, there are many brands and businesses out there that will be seeking to gain ground with the same audiences you wish to target. By using reviews, focusing on local SEO and selecting specific niches to target, you can improve the odds of success and ensure you stay ahead of the competition in search.